Versatile and Custom Testing: Chatillon Torque Testing System - C.S.C. Force Measurement, Inc. Many of our clients come to us looking for solutions that will be flexible, versatile, and easy to customize to meet their needs. Chatillon makes a top quality line of products that can be used for force and torque testing, as well as other applications. The DFS II-R-ND Chatillon Force/Torque Gauge is a great choice for use with a torque testing system for developers who require a configuration that will provide the user with greater flexibility with regard to interchangeable load cells that can be used with a single gauge. The DFS II features non-dedicated remote load cells, allowing the gauge to be used either handheld or in a remotely mounted position to allow the load cell to be placed where it needs to be for a reading. The advantage is clear for clients who have multiple ranges of measurements that need to be obtained. This one unit can do it all, providing a cost-effective solution compared to having to purchase several individual gauges to fit the required range applications. A variety of SLC load cells can be used with the DFS II-R-ND, including higher ranges of up to 10,000 lbF to further increase the opportunities for different applications. While the accuracy of the non-dedicated remote load cell version is not as high as the dedicated version, accuracy is still ±0.25% of full scale for standard ranges and ±0.50% of full scale for the extended ranges. Compared to other manufacturers, this is still a highly accurate tool considering the degree of flexibility that is provided with this torque testing system. Another benefit of using the Chatillon DFS II Series with non-dedicated remote load cells os the option to use a series of remote torque sensors. The sensors available from the Chatillon STS Series are rugged and accurate, effectively turning your force gauge into a torque measurement device without the need to purchase a specific torque test stand or torque testing system. Similar to the force gauge described earlier, it can be remotely mounted or handheld so that the sensor can be manipulated to take the reading. When this configuration is used, flexibility is increased by allowing for both force and torque measurement to be performed in a single gauge. If you are looking for maximum flexibility to provide a substantial return on investment, this is the unit to select. The Chatillon STS Series Torque Sensors are designed to be used exclusively with the Chatillon DFS II-R-ND force and torque testing system. Smart technology is integrated into these high-accuracy sensors so it can be recognized by the force gauge. This technology is used to determine the capacity of the sensor, scaling requirements, and check the sensor status. It can even check overload history to provide additional data to the user. These remote torque sensors can be used to measure torque in oz-in, lb-in, N-cm, kg-cm, and N-m either in clockwise or counterclockwise directions. Accuracy is up to 0.3% of full scale, and the unit comes with a 1-year manufacturer’s warranty. 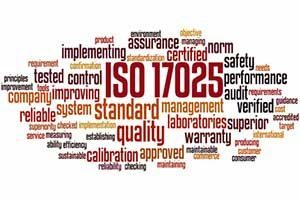 While most of our clients know CSC Force Measurement as the company to trust for purchasing of force and torque testing system equipment and accessories, they may not be aware that we also provided ISO 17025 Accredited Calibration & Repair Services. We have a complete force calibration laboratory with capabilities that range from 50 grams to 100,000 lb for force capability and 1 in-oz to 1,000 ft-lb for torque capability. We are able to calibrate most brands and models, are ISO 18025 accredited, Z540-1 compliant, and offer ASTM E4 and ASTM E74 calibration. We are proud to offer our clients competitive pricing and 24-hour expedited services when needed. Our team can even deliver on-site calibration services, depending on your needs. Calibration is essential for any torque testing system. To ensure accuracy and reliability, check your manufacturer’s recommendations for regular calibration of your force measurement instruments. If you aren’t sure how frequently calibration, testing, and servicing is required, contact CSC Force Measurement and speak with one of our technicians. We can answer any questions that you might have about anything from calibration and repair to purchasing standard or custom equipment. We have a large stock of equipment ranging from force and torque testing system equipment to non-dedicated remote load cells, remote torque sensors, and force gauges. Call 1-800-866-3672 to speak with an agent or to place an order with CSC Force Measurement.